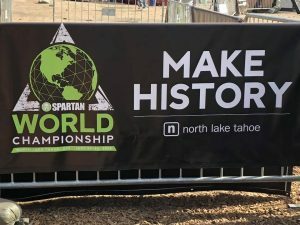 If you’re not familiar with the Spartan Race Tahoe Championships, here are some fun facts for you. When: September 29-30th weekend with the Beast on the 29th and the Ultra Beast on the 30th. Where: Squaw Valley Ski Resort. This is the fourth season Spartan Race has held their championships at this venue. Who: The best, most determined, self-motivated Spartans on the planet! So how far did King’s Camps go? All the way up to the podium! Two of our athletes, Arnaud Hebert and Eduard Korat, both took on the Beast and the Ultra Beast with stunning success. 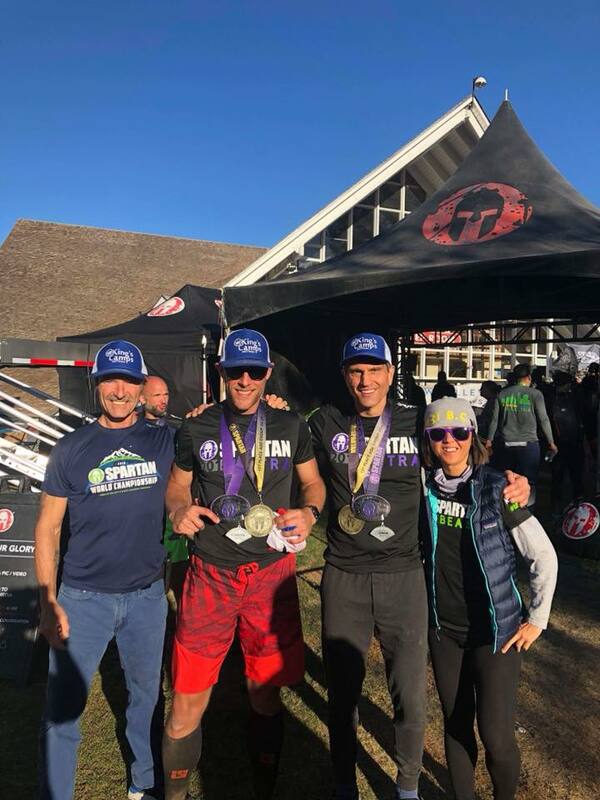 Let you think Arnaud’s success was a fluke, we’ll revisit his stunning 2018 season: he’s completed 29 Spartan Races in 2018 with a total of 8 trifectas. 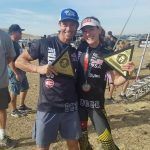 While not all of these races produced podium finishes, they all taught him something that he and his coach, Mike King, were able to use to fine tune his championship training. Leading up to the Championships, Arnaud reached the podium 4 out of his last 5 events. Arnaud trains regularly for these events on his home turf of San Francisco. He also puts pedal to the metal (or gravel to the bucket?!) with his fellow Pro Team athletes twice a week at King’s Camps and Fitness, where he can practice obstacles like Twister, rope climb, walls, and Olympus. 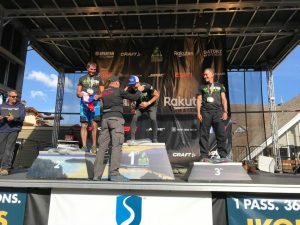 Arnaud proves that while no race is ever in the bag, training hard, smart and properly for your outcome, both physically and mentally greatly increases your likelihood of success. Congratulations Arnaud! For Eduard, these results aren’t unexpected. 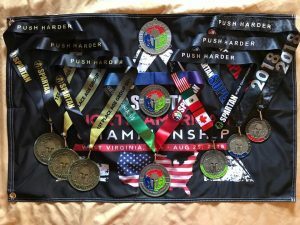 He has run a total of 13 2018 Spartan races, earning him 4 trifectas. Of those 18 races, he has placed first in his age group a total of 16 times. 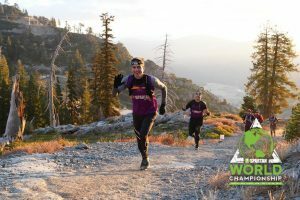 Eduard has doubled down this year, competing not only in Spartan Races but also in trail races, using the trail races as additional training for his Obstacle Course Races (OCR). 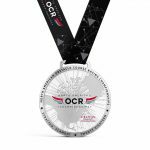 He also balances his trail climbing with track workouts near his home, and is often pushing the pace with his King’s Camps OCR family. If you come to a King’s Camps and Fitness Open Gym, you’ll find Eduard either at the front of the running pack, at the top of a rope, or scaling a wall. But no matter what he’s doing, he’s demonstrating what hard work and dedication looks like. We couldn’t be more proud to have him as part of our family. Since their return from the 2018 Spartan Championships, friends have reported that they’ve both worn a perpetual smile on their face. So does this mean that successes gone to their heads? Maybe in only the Spartan-headband way! Way to go, guys. We are so proud of you!